In Sassafras Lowrey's gorgeous queer punk reimagining of the classic Peter Pan story, prepare to be swept overboard into a world of orphaned, abandoned, and runaway bois who have sworn allegiance and service to Pan, the fearless leader of the Lost Bois brigade and the newly corrupted Mommy Wendi who, along with the tomboy John Michael, Pan convinces to join him at Neverland. Told from the point of view of Tootles, Pan's best boi, the lost bois call the Neverland squat home, creating their own idea of family, and united in their allegiance to Pan, the boi who cannot be broken, and their refusal to join ranks with Hook and the leather pirates. 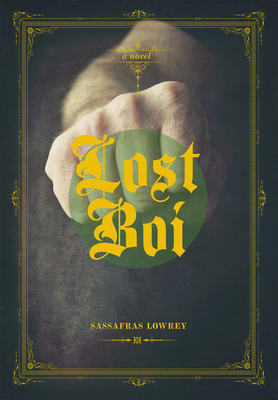 Like a fever-pitched dream, Lost Boi situates a children's fantasy within a subversive alternative reality, chronicling the lost bois' search for belonging, purpose, and their struggle against the biggest battle of all: growing up. Sassafras Lowrey is a straight-edge queer punk who won the Lambda Literary Emerging Writer Award and was named to the inaugural Trans 100 list by We Be Trans. Sassafras's books, Kicked Out, Roving Pack, and Leather Ever After, have been honored by organizations ranging from the National Leather Association to the American Library Association. Sassafras Lowrey is a straight-edge queer punk who grew up to become the 2013 winner of the Lambda Literary Emerging Writer Award. Hir books Kicked Out, Roving Pack, and Leather Ever After have been honoured by organizations ranging from the National Leather Association to the American Library Association. Sassafras lives and writes in Brooklyn with hir partner and five furry beasts.